I recently found a new use for dynamically-compiled assemblies using CodeDomProvider. Combined with Linq, it enables the ultimate flexibility in music playlist generation. My "Code Playlists", are snippets of code that can do whatever they want as long as they return an enumerable collection of song objects. 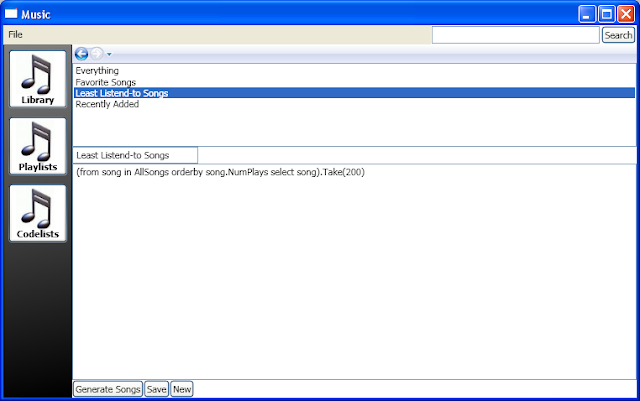 As you can see above, simple Linq expressions make it really easy to generate pretty much any collection of songs that my music metadata can support. Because some people were having trouble understanding how to use my original WPF progress bar code, I thought I'd post an updated, easier to use version. The problems people were having pretty much all centered around not understanding how to run their code in a background thread. My updated version handles this for you. The key difference is that you can now pass the dialog a delegate that will be used to do your work, and can have it automatically get run in the background. Note that I am using ShowDialog() above to keep the operation modal. If you want the rest of your UI to still accept input, use Show() instead. 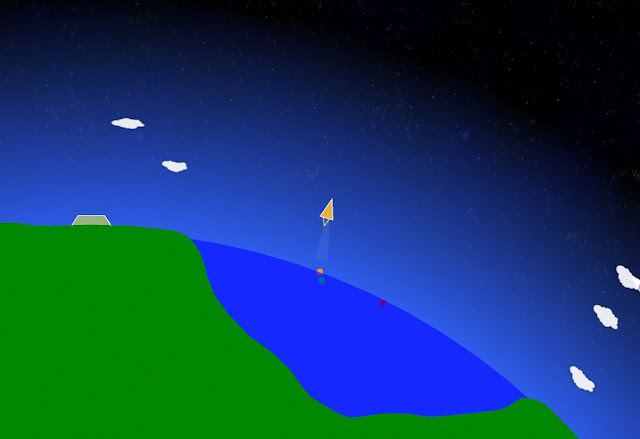 My latest hobby project is a gravity-based game in the tradition of old classics like Lunar Lander, Gravitar and Thrust. Currently, the mechanics are pretty simple. 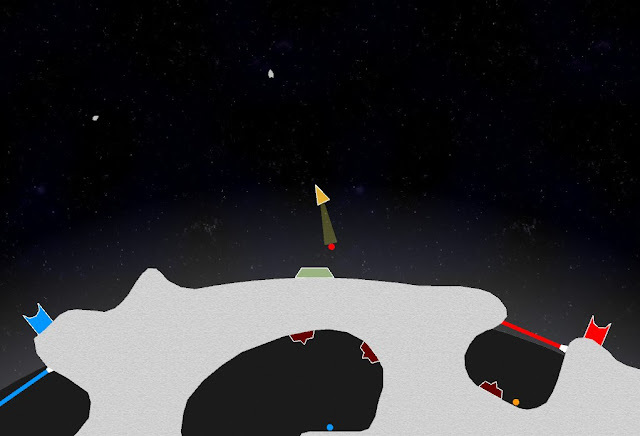 Shoot things, avoid being shot, crashing, or being hit by an asteroid, and use your tractor beam to move around colored balls that act as keys to remove barriers. I've also been playing with water dynamics. The game is XNA-based, and I'm using Farseer as my physics engine.